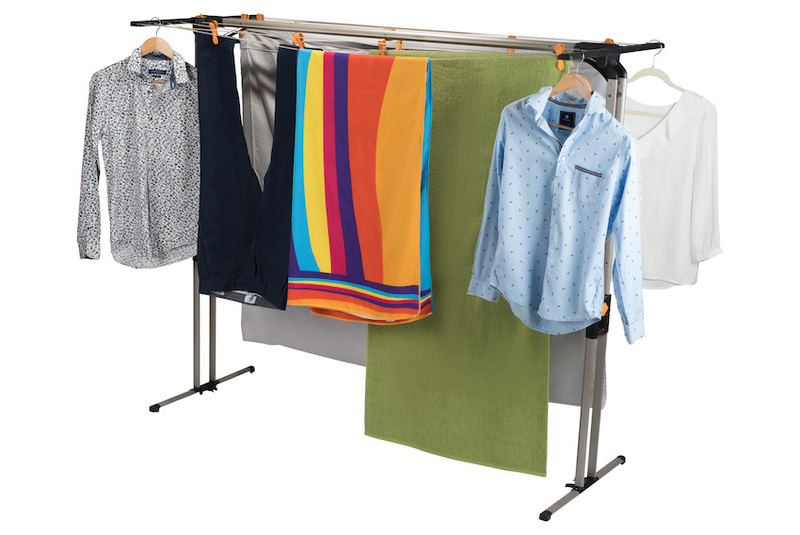 100% Australian designed and manufactured, the Eco Dry is the most feature-packed portable clothes line on the market. It is constructed with Powder coated Aluminium, UV and rust resistant, making Eco Dry airer ideal for any weather conditions. It has durability and strength like no other. This model is suitable for indoors as well as outdoors. Being lightweight (4.6kgs) and portable, it can be unfolded and folded away for storage with an easy click. WHAT MAKES ECO DRY DIFFERENT FROM THE REST? Height Adjustability– It can be easily changed from 95cm to 142 cm, with 16 lines of drying space. Welcome to Eco Dry Clotheslines! Here is where all your burden about laundry drying will be taken over by us. Need a clothesline that’s not going to cost the earth but is still great quality? At Eco Dry Clotheslines, we have researched the market and honed in on the best products available. The legwork has all been done for you so you do not need to run around trying to compare what product will provide you with the best laundry drying solution. We deliver Australia wide using a courier service. Please allow 2 – 5 working days for delivery to metropolitan areas. For security, the product must be signed for. If no one is available to sign, a calling card will be left. Alternatively, another delivery address may be given. We currently only accept orders within Australia. 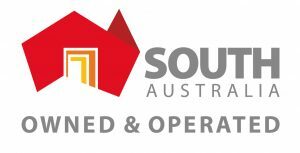 If you do not live in Australia and would like to purchase a Clothes Line, please contact us with your request and delivery needs, and we will advise on delivery costs and total charges. The Ecodry clothesline has a two (2) year manufacturers warranty supported by Ecodry Clotheslines Pty Ltd. In addition to offering a no –nonsense warranty, we also offer a 30-Day Satisfaction Guarantee. Try Ecodry for 30 days risk free, and in the unlikely event that you are not happy with your Ecodry for whatever reason, we invite you to return it, You can return your undamaged Ecodry for a full refund of the purchase (minus shipping charges) within 30 days of purchase as long as its in its original condition with the receipt and packing. This Manufacturing warranty is provided by Ecodry Clotheslines Pty Ltd. Entitles the original purchaser to FREE LABOUR AND REPLACEMENT OF PARTS for a period of 2 years. Ecodry Clotheslines or one of its duly appointed authorized service agents will during normal business hours repair or replace any part which in the opinion of the manufacturer is defective due to faulty material or workmanship provided that the appliance has been used for the purpose in which it was designed namely a clothesline or airer and operated in accordance with the manufacturer’s instructions. If same has been used for commercial purposes, the period of warranty is 1 year only. The purchaser will be responsible for paying any transport charges, and damages and loss incurred in connection with the transportation of this appliance to and from Ecodry Clotheslines Pty Ltd or its accredited service agents’ premises. d) used with anything other than Ecodry Clotheslines genuine spare parts. Your proof of the date of purchase must be produced before free service is provided. How do I shop at Ecodry clotheslines? Shopping at Ecodry clotheslines is safe, fun and easy. To add a product to the shopping cart enter the required number of units on the order page. The cart holds your product selection and allows you to update your product and recalculates order costs including delivery. Proceeding through the checkout When you’re ready to purchase click on the Checkout button at the bottom of the Shopping Cart, and follow the simple, secure checkout process. Here you will be asked for your details, the delivery address and your credit card/paypal information. You will then receive a confirmation page that asks you to confirm if your order details are correct. If you have made an error or wish to change details, you can re-start the process. How safe are my credit card details? Your credit card details are automatically encrypted and sent securely over the internet. We do not share your details with anyone else. Our system automatically encrypts all your details using the latest 128-bit SSL encryption technology, so your details are safe and secure. You can tell it’s secure by the web address that starts with ‘https://’ and a small padlock displayed at the top of the browser window. Accepted Credit Cards. Ecodry clotheslines accept payment by credit card. We accept Visa and Mastercard. Tax charges for Australian customers All prices are in Australian dollars [AUD] with GST included (If applicable). During the checkout process, the relevant GST charges will be clearly displayed in your order and your receipt. Cancelling an order We will accept cancellation if the order has not been sent. If your order has been processed, paid for and sent we will not accept cancellation but we’ll accept the goods back as a “return” – see our Returns Policy below. You can cancel an order by contacting us at orders@Ecodryclotheslines.com.au. Please include the order number in your communication.